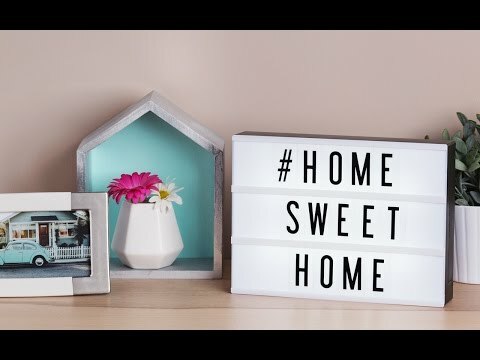 Customize this mini marquee lightbox to brighten up your space with a retro vibe. Slide and rearrange the letters and symbols to suit your mood—set a reminder, add a quote, or showcase your favorite movie title. 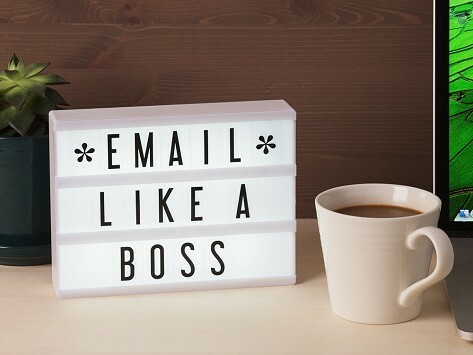 Whether you plug it in or use batteries to illuminate the screen, the bold type against the bright light makes your message a feature presentation. Dimensions: 7.88" x 5.9" x 1.75"
I use this at my desk for work and also when having a party or welcoming someone home. My 10 yr old niece loved it! It's a great gift for anyone. Easy to use and small enough to put on a desk or dresser.